If you’re a mid-market merchant looking at what 2018 will hold, I hope to help demystify the platform decision you’re facing by looking at Magento 2. As buzz around the Magento 2 platform migration continues to loom over the ecommerce industry, many business owners are using the change as a time to take stock in their current ecommerce platform and to choose the best path forward for their store. If you’re a mid-market merchant looking at what 2018 will hold for your website, I hope to help demystify the platform decision you’re facing. Today, I’ll take a look at Magento 2. While much has been made over what’s been deemed a “forced upgrade” by legacy Magento customers harrumphing the eventual discontinuation of Magento 1 patches and security updates, Magento is making a necessary business decision. By focusing its resources on the latest version of its platform, Magento is elevating its ecommerce game and accelerating innovation around what’s possible with the new platform. Even though the frustration being directed Magento’s way over how the company has communicated the sunsetting of support to M1 customers is understandable, it’d be foolish not to explore the changes in Magento 2 as you consider what platform’s right for the future of your store. Let’s look at what’s different. As part of Magento’s continued efforts to expand, Magento 2 comes in 3 flavors. There’s Magento Community-- it’s solid, it’s free and it’s also the most basic in terms of what’s included. Next there’s Magento Enterprise -- this one’s not free but includes features like Magento support, a suite of site management tools and dynamic marketing, merchandising and search. Finally there’s Magento Enterprise Cloud Edition - this has all the features of Magento Enterprise and, in a challenge to the SaaS competition, it will be hosted in Magento Cloud servers. The core vision for Magento 2 is to create a new platform framework that addresses many of the Magento 1 foibles and adds previously unavailable features all at once rather than through multiple updates to the old Magento 1 platform. By creating a new framework independent of the original, Magento is able to take what’s always been great about Magento and enhance it with a more modular architecture. As a nontechnical individual , I want this article to be understandable to others without backgrounds in web development. The key to making sense of the change from Magento 1’s architecture to Magento 2’s architecture is to think of all the functionalities and features required to run your store as modules. Each module is responsible for a specific aspect of your site like page compression or SEO. In the Magento 1 platform architecture, modules were interdependent and updating one could potentially cause an unforeseen problem with an unrelated part of your site. This made updates more time-intensive and daunting. With Magento 2, the new architecture decouples modules so that updating is more partitioned and module-specific. This means the potential for unforeseen issues arising in an unrelated module from an update or patch on Magento 2 is greatly diminished. Now updates and patches will be less painful and quicker to implement or troubleshoot should something go wrong in the process. With Magento 2 comes off-the-shelf integrations with the Braintree, Authorize.net and PayPal payment gateways as well as World Pay and CybersSource in the Enterprise Edition. All of these provide greater security and enable a simpler path to PCI (a fairly universal security standard for businesses that accept credit card payments) compliance with payment for your store. Magento 2 has improved loading speeds and checkout process speeds significantly over Mageno 1. There’s some irony in touting Magento 2’s platform longevity to the business owners feeling hamstrung into switching from their current Magento 1 sites due to the planned sunsetting of patches and security updates. That said, Magento 2 is going to be around for the next 8 years and likely longer. This platform is built to allow for large upgrades as technology dictates. 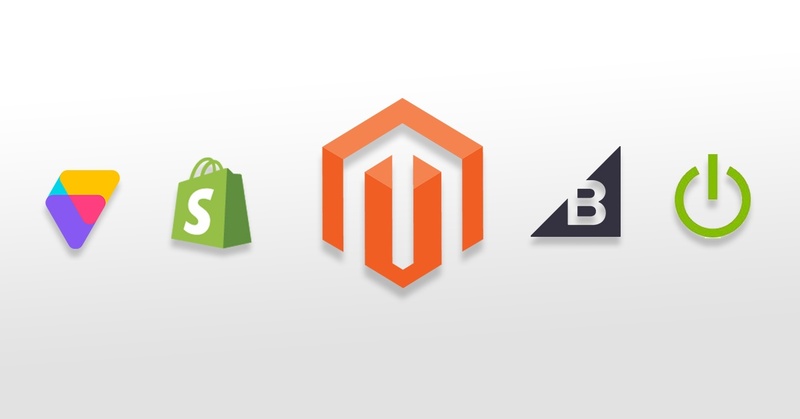 It is still a new platform and as adoption increases, so will the ecosystem of apps and plugins available for Magento 2 stores, further contributing to Magento 2’s staying power. Beyond that, Magento 2 is truly scalable and already used by large Enterprise businesseses. While the improvements and updates are impressive and the level of intuitiveness of the platform has certainly increased, it’s still not really meant for non-developer business owners or those not willing to staff up or shell out for ongoing hosting, site support, and maintenance. For those looking for a more turnkey and less resource-intesive platform, a SaaS only option (like BigCommerce) would probably be a better fit. Magento 2 justifies its existence by the sheer strength of improvements over the previous Magento platform. From a development perspective, it is still the standard bearer for hosted ecommerce platforms and as such, it receives a lot of attention and focus from web developers and third party agencies. My meaning here is that you won’t have difficulty finding resources (like Groove) to help support your Magento 2 site if that’s the route you go. It is scalable and highly customizable and for those whose business or vision require a more outside-the-box functionality set or layout, it is a great option. Hopefully, this is a helpful resource for your replatforming exploration. Please connect with me if you’d like to discuss whether Magento 2 might be right for you or to schedule a free website assessment from our in-house team of experts.